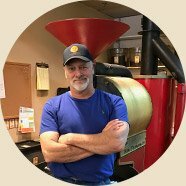 Custom Coffee Roasting: Employ Your Own Personal Roastmaster! How would you like to hire your own Personal Roastmaster to custom roast your favorites? *Have you ever wished that you could get your favorite coffees of the world roasted to your exact specifications? *Do you have a favorite blend or favorite roast that you can’t find or can’t get anyone to do? *Is there an unusual coffee that you would like us to locate, order, and custom roast just for you? If so, this page may just be the ticket for you! When I was in the process of creating this site, I was imagining a service that would be unusual and of special value. Precious few coffee roasting companies offer anything close to this in terms of variety and quality. Have you ever had a type of coffee that you just loved or a certain special roast that really knocked your socks off and then… you moved… or the company went bye-bye, and since then you just can't find anything to compare? If so, your problem may well be solved! How do I know they’re qualified? Let me introduce myself. My name is Lee Eckel. 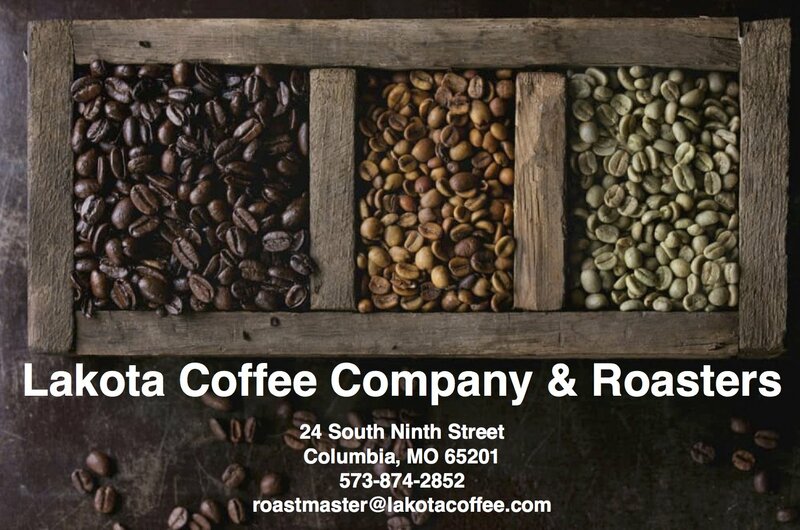 I am the Roastmaster for Lakota Coffee Roasting Company and the author of this site. You can count on me to work directly with you to create and personally roast your custom orders. * Your coffee will be custom roasted by a company that has served Central MO and a National mail order following for over 12 years. 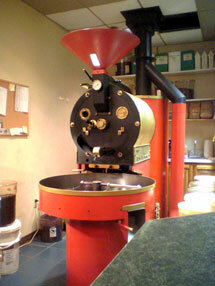 * All custom coffee roasting will be performed on this state of the art San Franciscan 25 lb coffee roasting machine. (pictured) This is hands down the best machine I've ever worked with. It creates consistently beautiful roasts of the highest quality. * The coffee you order from us has a quality ranking in the top 2% worldwide! In other words, you can count on getting only the best of the best! * You will benefit from the fact that the creation of signature blends and custom roasts for our customer base has been our specialty for years. Skip (Lakota’s owner) and I have a combined 25 years in the coffee house and coffee roasting business. * The point being, you DO want us to start with green coffee that’s the best quality imaginable, but you DON'T want a "green" roasting company doing your specialty coffee roasting! We won’t charge you a premium while using you as a guinea pig… In short, ahem… we actually know what we’re doing! * We back this statement with an absolute ironclad guarantee. You will be absolutely overjoyed with your custom roasted coffee selections or you get every penny back, including shipping! “When I travel to different cities around the country, I always look for the best local coffee shops, and have yet to find a place that can rival the quality and variety of the coffees offered at Lakota. Even in Italy, France, and Spain I never had any better coffee than Lakota’s. We are lucky that the coffee experts at Lakota chose Columbia as home to one of the finest coffee shops. "Our guests love your products and we are so grateful to serve them such a consistently delicious brew! We tip our hats to you as well for allowing small programs at your establishment such as the gathering on Sunday, March 7 by the man form Bear Butte in North Dakota." "You folks do good work – take a bow!" "Also, you get very high marks for your convenient delivery service! Fill your cup, drink it up, and enjoy." We get wonderful unsolicited testimonials like this all the time. Well-traveled people from all walks of life have consistently gone out of their way to let me know how much they love our coffee and our atmosphere. I swear, sometimes it’s almost tough to be modest! “My wife and I began to frequent Lakota Coffee Roasting Company when we were in college and dating during the fall of 1994. Lakota was one of our favorite places in Columbia; and still is 11 years later. I graduated in the fall of 1997, and spent the next six years in southern California. A job change has moved us now to Boston, MA. Every coffee house my wife and I have visited across the country, we compare to Lakota. So far no other coffee comes close to Lakota coffee in product consistency. The coffee maintains bold richness, depth, and strength while remaining very pleasant and drinkable. O.K., SO HOW DOES THIS WORK? Let's say you want a special roast of Kenya AA and you request a French Roast. For a special roast, you know, a custom roast where I drop everything and give my undivided attention, we charge a roast set-up fee of $20. You will pay regular market price for the coffee plus shipping and handling. Here's how this example breaks down. The set-up fee is $20. The per lb price for this coffee is $11.95. To get the most out of your shipping dollar and still ensure freshness, 5 lbs is a good quantity. Shipping and handling average around $8.00. Your total for this custom order would be $87.75. One pound of coffee yields approximately 40 cups so, arguably the most amazing coffee you'll ever taste will set you back about .43 cents a cup! Add our ironclad satisfaction guarantee and you have a legitimate shot at "the perfect cup!" Custom Specialty Coffee Roasting...only the very best Mountain Grown Coffees from around the world... Roasted to Your Specifications and delivered right to your doorstep! Click here for Specialty-Coffee-Advisor HOME PAGE!